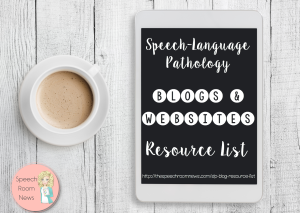 There are hundreds of website and blogs dedicated to the field of Speech-Language Pathology. 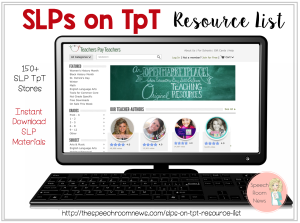 This resource list is a place to find new ideas, inspiration, and reading! You can use this list several ways: Click on links to check out NEW resources. Remind yourself of the links to your current favorites. Please feel free to share this resource with graduate students, SLPs, and related personnel. These links were all found through personal experience, author submissions, and other internet sources. The content in these blogs is in no way sponsored by Speech Room News. The list is intended to give you access to as many resources as possible, but I cannot assume any responsibility for the content on the linked sites. I go through the submissions and delete websites that are not updated regularly. Please always directly link to this page. You can use the image as the teaser in your content, but DO NOT directly copy the list and use it for your own website or blog. Website Author? 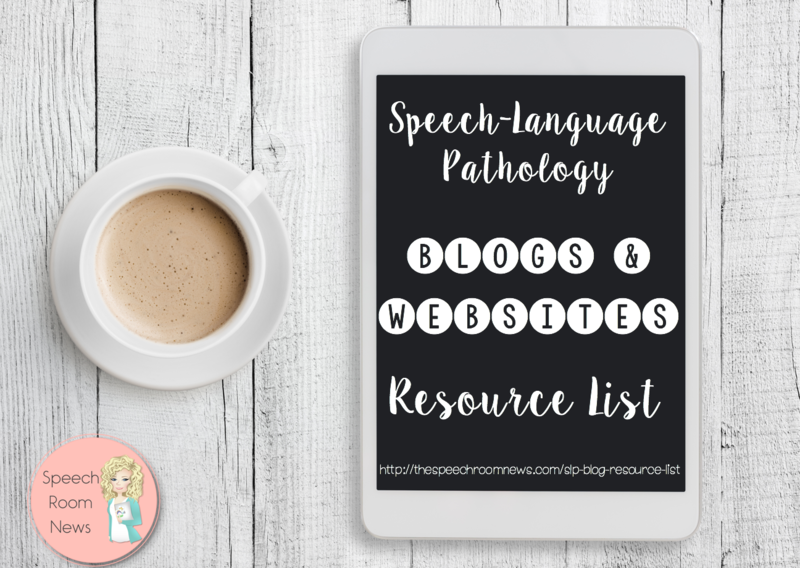 If your blog or website is not listed and you are an SLP website/blog, please leave your information in a comment and the list will be updated occasionally. What a great list! Thank you for sharing all of your wonderful resources and ideas! Nice to meet you Chris! I’ll have to check out the podcast! This a great list! Thanks so much! Could I please be added to the list? I have a store on Teachers Pay Teachers called Kessler’s Creative Corner and my website address is http://www.theerinelizabeth.blogspot.com. Love your stuff! In the words of Rod Stewart, “Have I told you lately that I love you?” 🙂 This list is amazing. I’ve been in/out of the SLP field for almost 20 years and am beginning to work in my daughter’s elementary school this year. Your resources are some of the best I’ve seen. Your work is fantastic and a HUGE gift to so many. Keep on keepin’ on!!! Hi Jenna! This list is fabulous! I can remember blogging for ASHA early on and citing you them. You have grown exponentially! ? 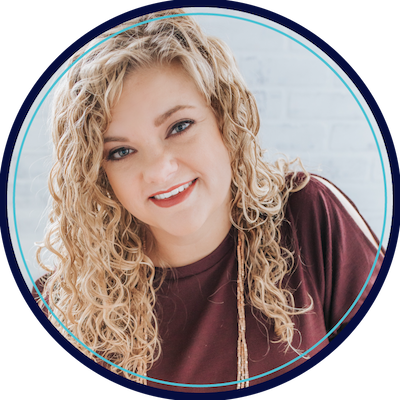 I’d love if you’d consider adding my blog on all things related to voice therapy. OMG! So many! Too bad I can’t use direct material because I’m from non-english speaking country but I’can get a lot of inspiration. Thanks to all bloggers! Could my blog also please be added to the list? Please check out http://www.speechscience.org ! Nice List! Can you add Creating Communicators to your list? Thanks so much! Very informative article. Looking forward to more posts in near future. Hey Jenna, I would love for my blog to be included the next time you update the list.